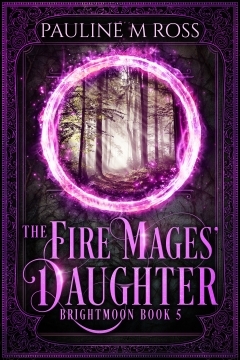 The Fire Mages’ Daughter is the fifth book set in the Brightmoon world. It can be read independently, but it’s best enjoyed after The Fire Mages. That book followed the story of Kyra, Drei and Cal, and this new book takes up the story of Kyra’s daughter, Axandrina (or Drina for short), who discovers there are some unusual consequences to her heritage. A girl fighting her destiny. A living god. A war with the Blood Clans. Seventeen-year-old Drina just wants to hide away with her books, but as the daughter of two powerful mages and heir to the ruler of Bennamore, her wishes are rarely considered. Summoned to the capital, she is plunged into a maelstrom of politics and power struggles. The only compensation is Arran, the handsome bodyguard she grows to love. In her new role as a diplomat, she visits Bennamore’s mysterious neighbours, the Blood Clans. There she discovers there are other, darker forms of magic in the world than the familiar spells of the mages. Driven onward by a living god, the Blood Clans’ magic drags both their countries to the brink of war. Surrounded by enemies, Drina must find a way to tame the power of a god before everything she loves is destroyed. 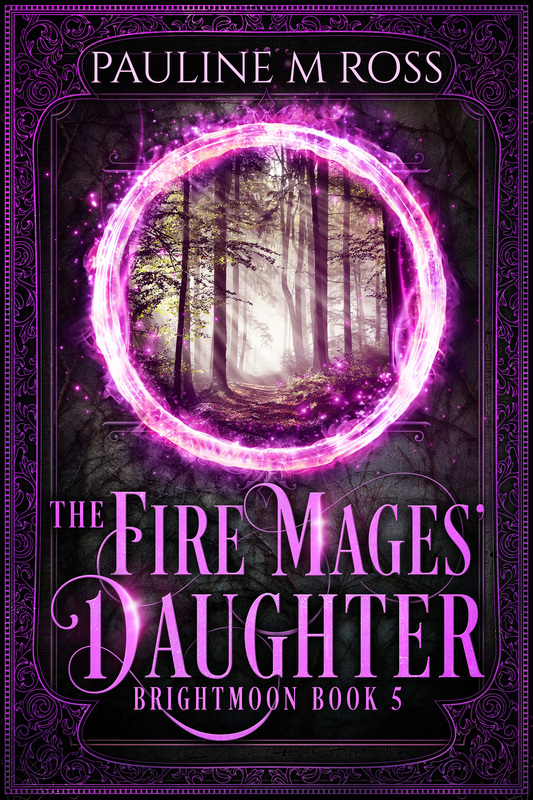 The Fire Mages’ Daughter is written by Pauline M Ross, with cover design by Deranged Doctor Designs and proofreading by Coinlea Services.